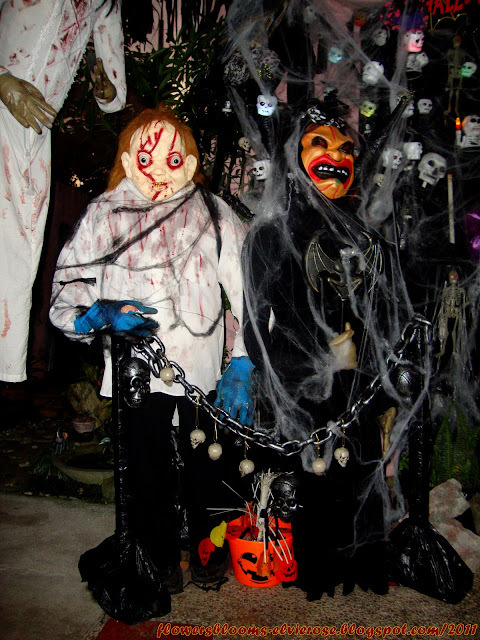 Halloween Trick or Treating is an annual event in the village where I live. 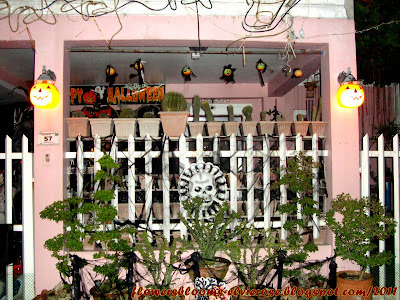 As early as first week of October my family is already planning for the stuff that we intend to put up as our halloween decorations. 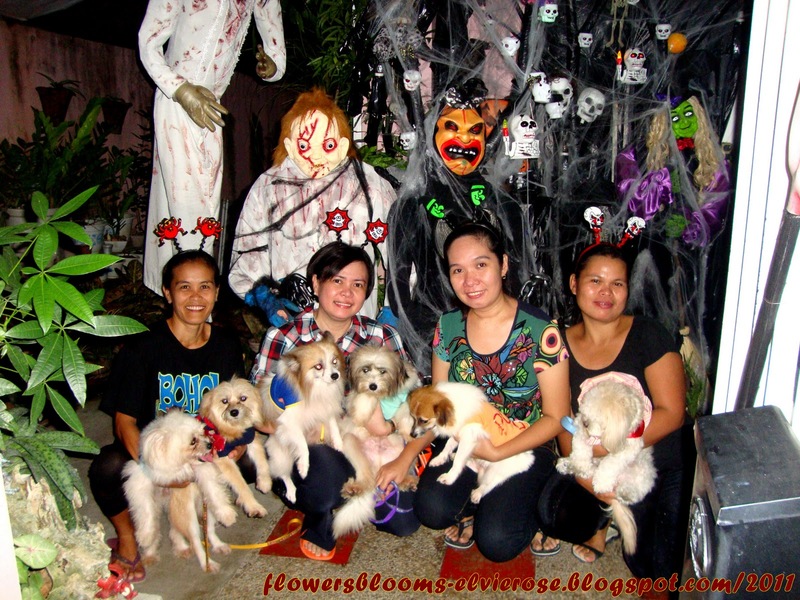 It is always one of our project every year. 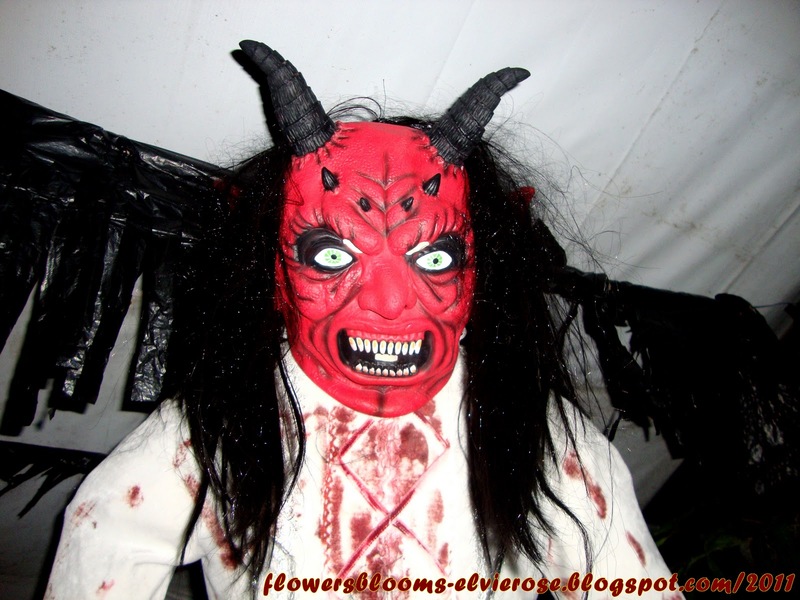 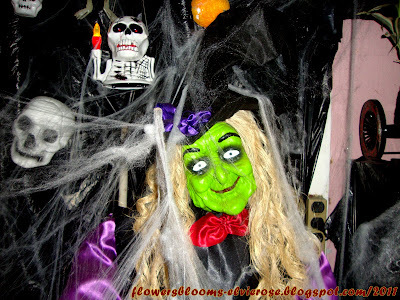 My stepmom also loves doing it and we combine our ideas to create some scary stuff. 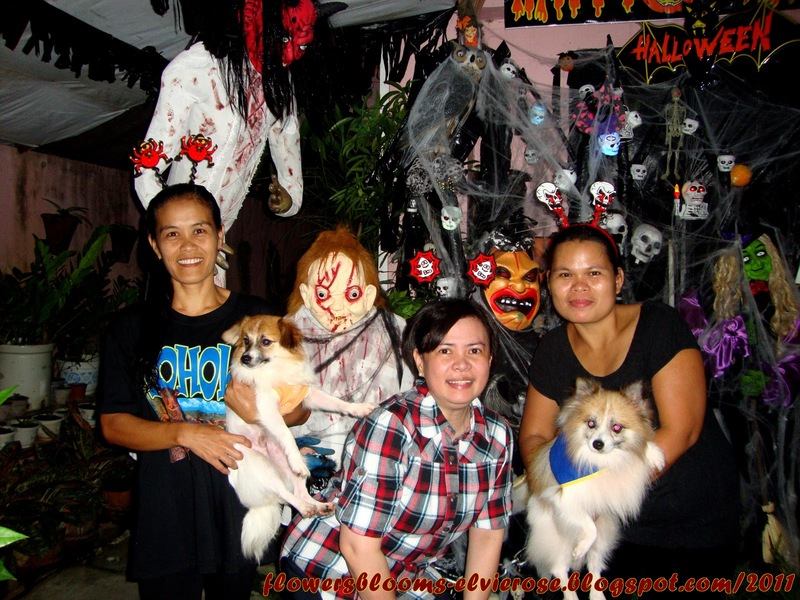 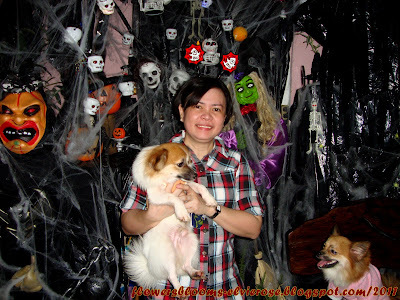 With my stepsister (2nd from right), our househelpers and our dogs during the "Trick or Treat" last Oct. 29, 2011. 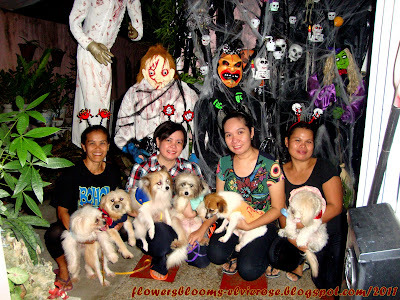 We also dress up our small dogs during this time of the year. 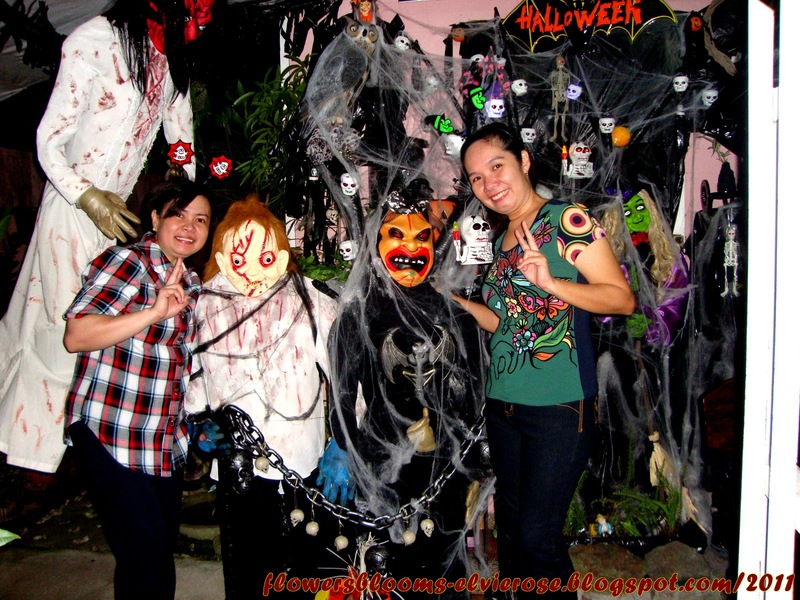 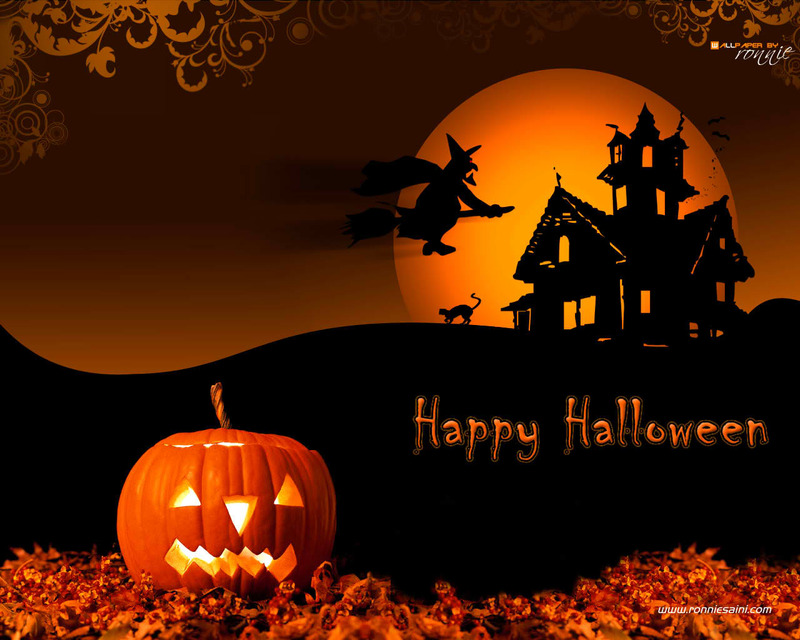 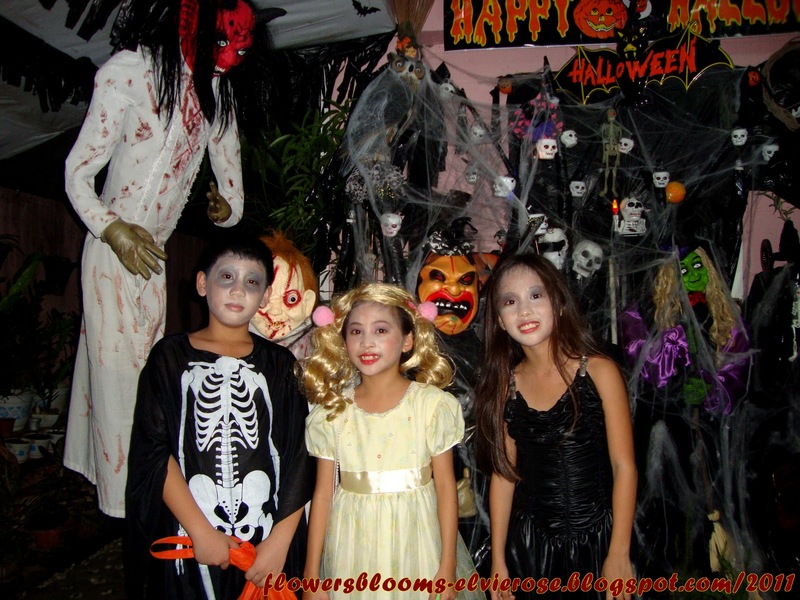 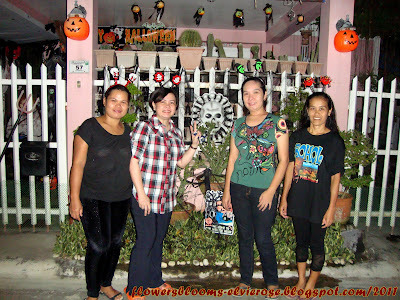 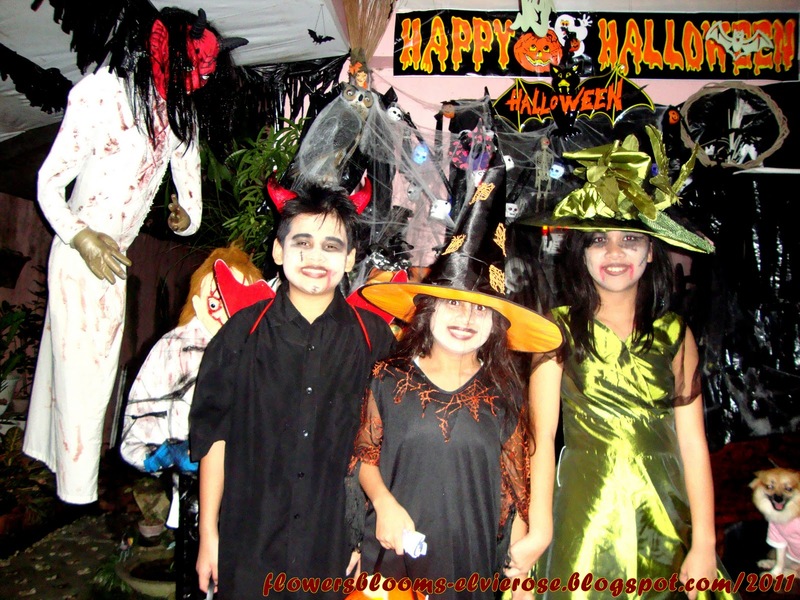 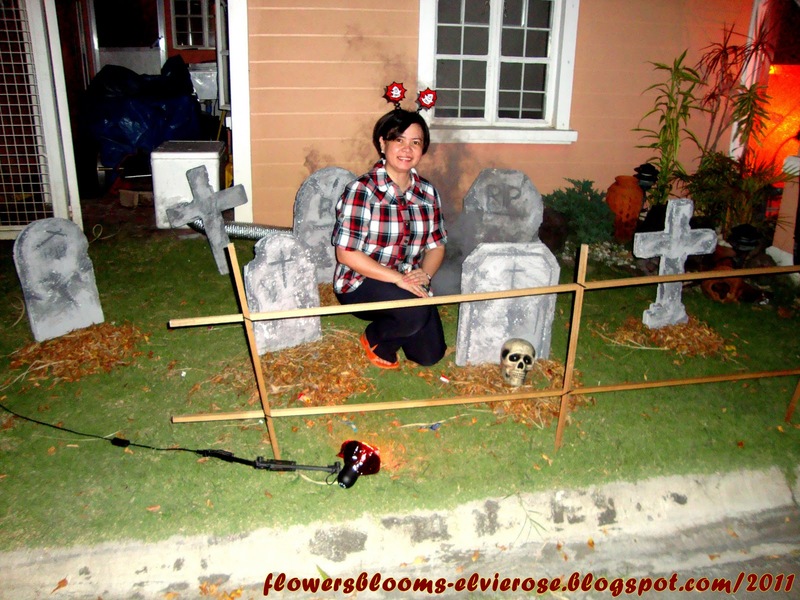 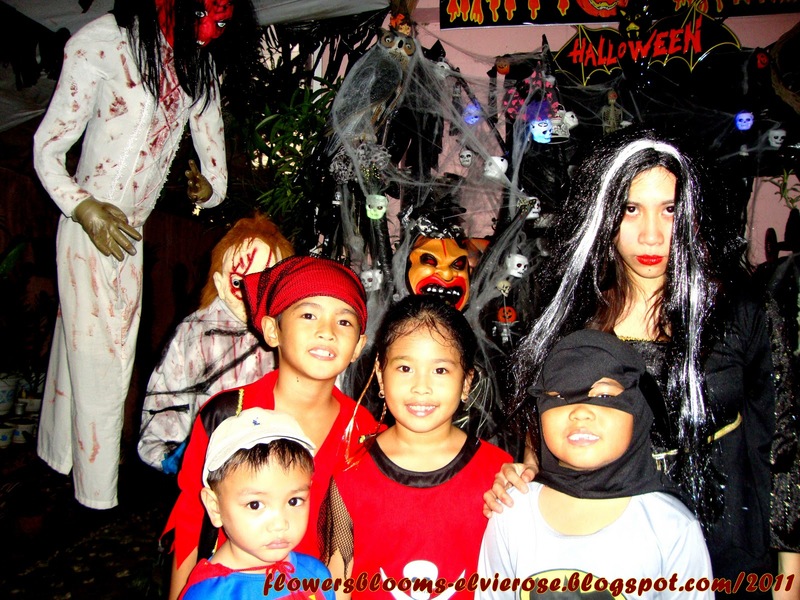 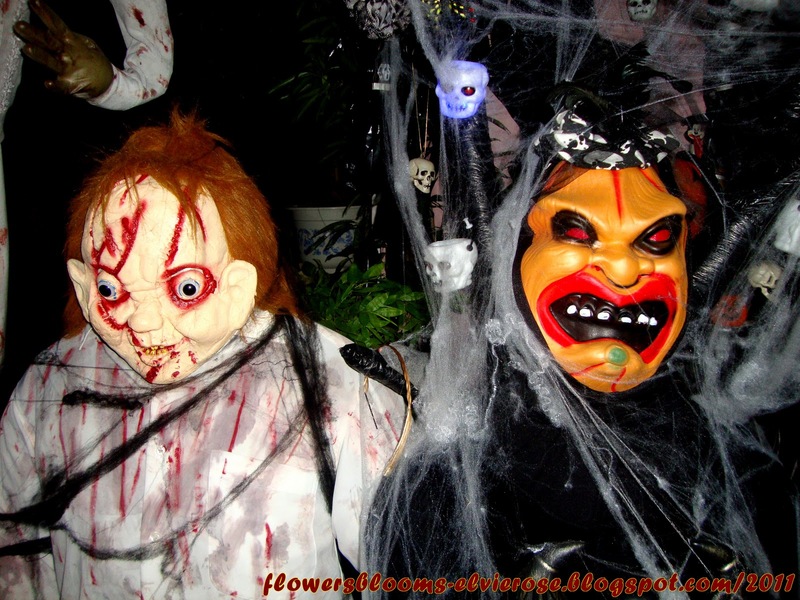 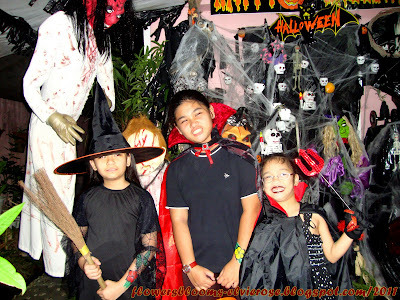 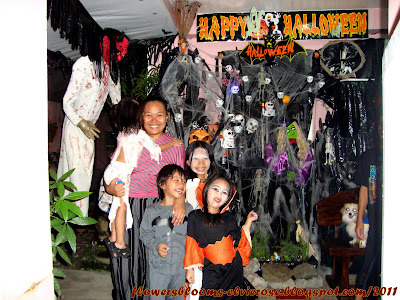 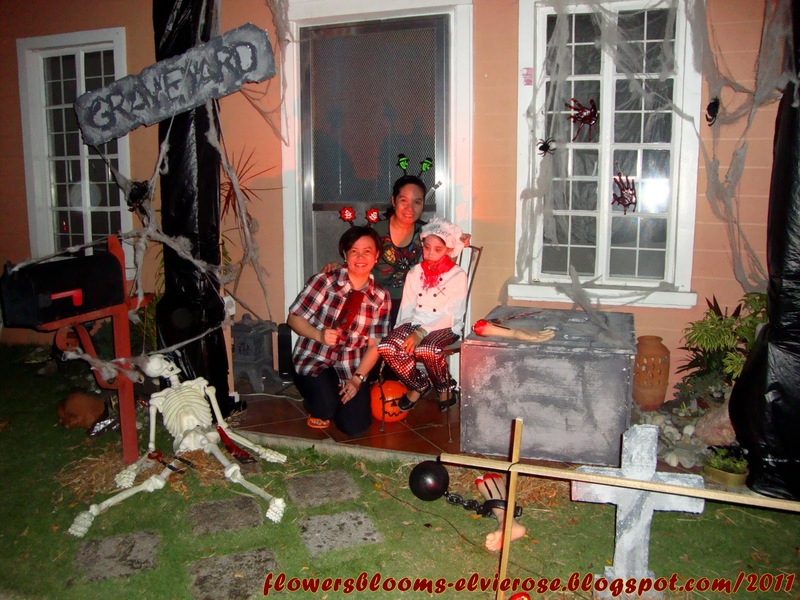 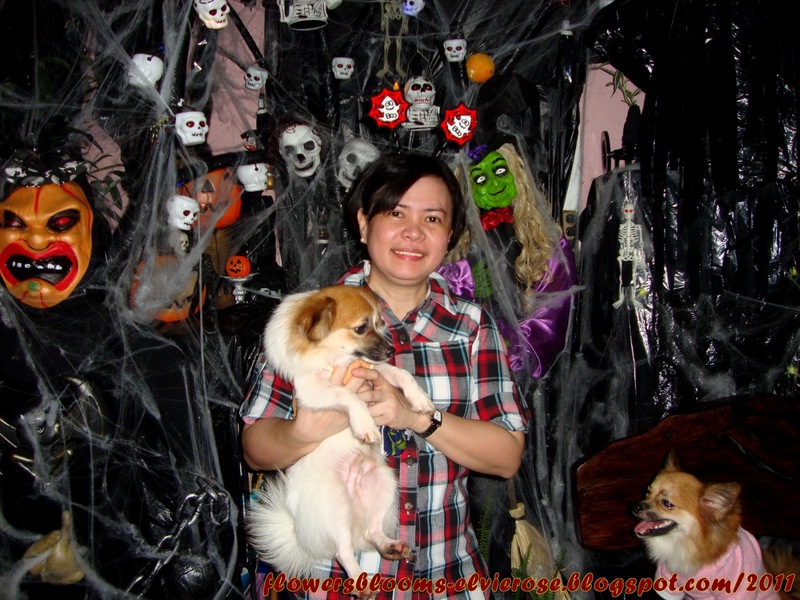 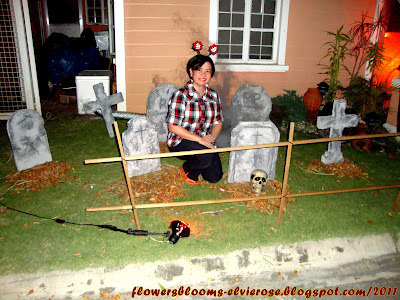 Parents and kids who visited our house were amazed by our halloween decors. 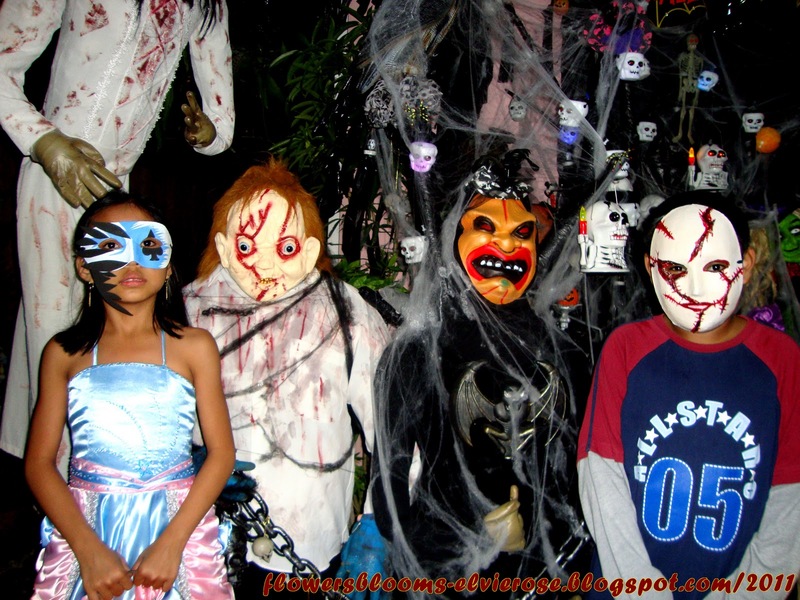 Many had their pictures taken. 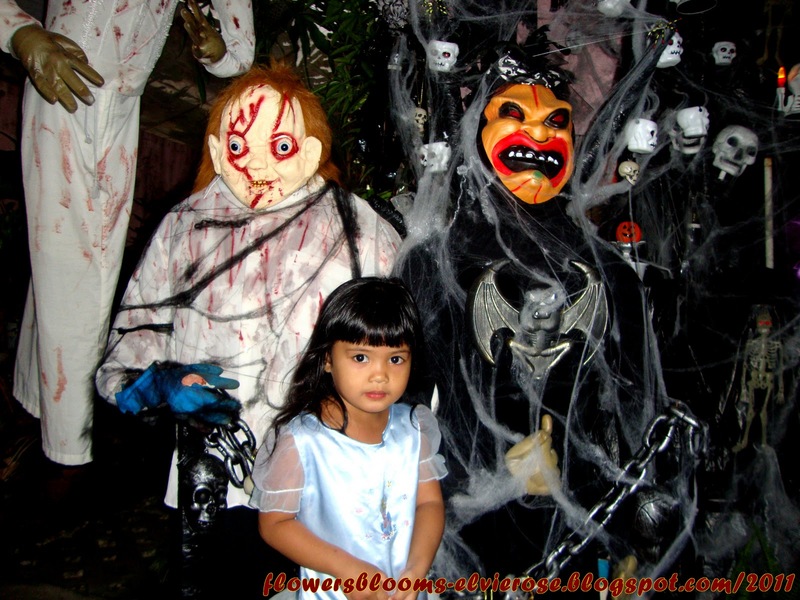 Young children were also afraid and were screaming. With my stepsister, Darling. My parents missed the event since they were in Bohol. 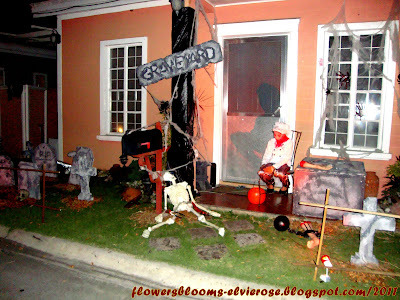 This is our neighbor's halloween set-up. 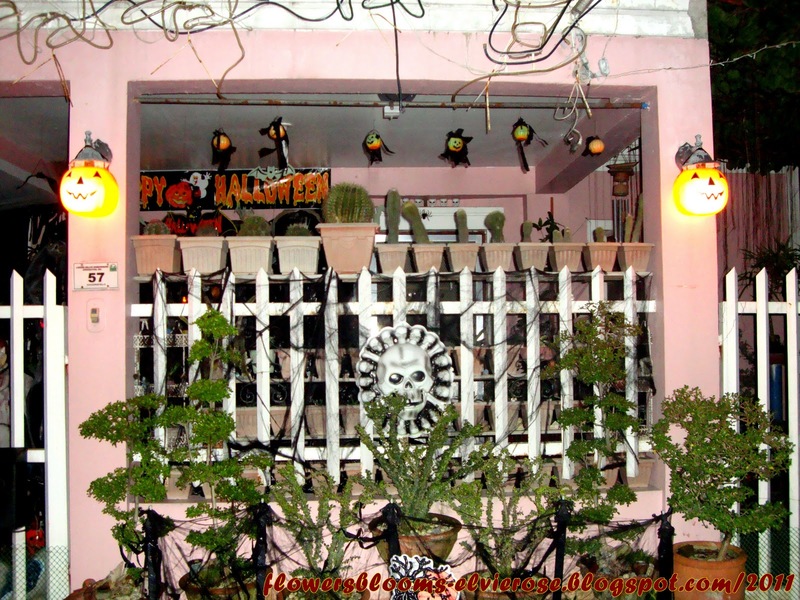 The owner incorporated sounds, lighting, and smoke. Their daughter (child seated) also played a role. 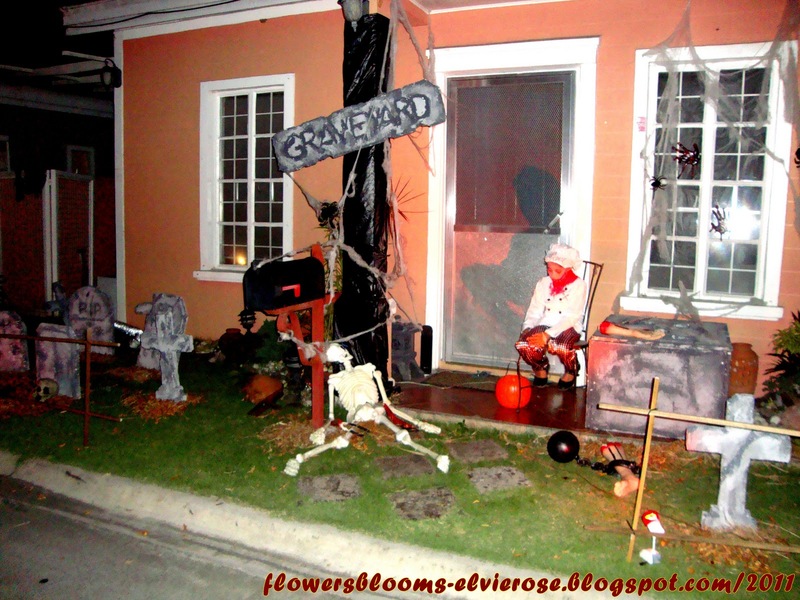 With all the effects, it really looks like a graveyard and it is hair raising.